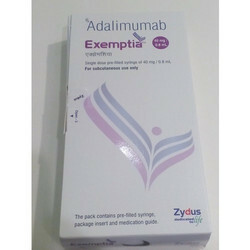 Our range of products include simponi 50 mg/0.5 ml golimumab, exemptia 40 mg injection adalimumab, stelara 90 mg/1 ml inj ustekinumab, infimab 100 mg inj infliximab, remicade 100 mg inj infliximab and xelijanz tofacitinib tablets. 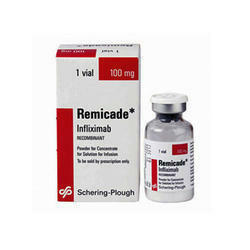 For RA, PsA, and AS SIMPONI50 mg is given as an injection under the skin (subcutaneous injection) once a month. Redness, rash, swelling, itching, or bruising. 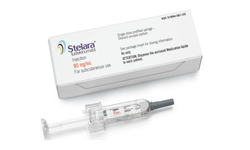 STELARAis a prescription medicine used to treat adults and children 12 years and older with moderate or severe plaque psoriasis who may benefit from taking injections or pills (systemic therapy) or phototherapy (treatment using ultraviolet light alone or with pills). STELARAis a prescription medicine approved to treat adults 18 years and older with active psoriatic arthritis, either alone or with methotrexate. STELARAis a prescription medicine used to treat adults 18 years and older with moderately to severely active Crohn's disease who have already taken other medicine that did not work well enough or they could not tolerate it. 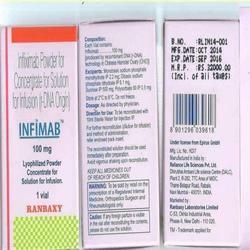 Infimab Injectionis used forRheumatoid arthritis,Spinal arthritis,Arthritis associated with skin disease,Rheumatic arthritis,Ulcers in the lining of the large gut,Inflammation in gastrointestinal tractand other conditions. Infimab Injection may also be used for purposes not listed in this medication guide.Infimab Injection containsInfliximabas an active ingredient.Infimab Injection works by reducing inflammation in joints. Remicade Injectionis used forRheumatoid arthritis,Spinal arthritis,Arthritis associated with skin disease,Rheumatic arthritis,Ulcers in the lining of the large gut,Inflammation in gastrointestinal tractand other conditions. Remicade Injection may also be used for purposes not listed in this medication guide.Remicade Injection containsInfliximabas an active ingredient.Remicade Injection works by reducing inflammation in joints. 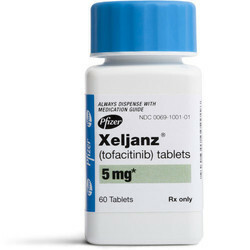 Xeljanz (tofacitinib) works by blocking certain enzymes in the body that affect immune system function. Xeljanz is used to treat moderate to severe rheumatoid arthritis in adults who have tried methotrexate or other medications without successful treatment of symptoms. Xeljanz is also used to treat adult patients with active psoriatic arthritis (PsA) who have tried methotrexate or other arthritis medicines without successful treatment of symptoms.